Hello my name is Gandana or you might know me as Raine-.. er, Rayna’s Derpy Boyfriend. She calls me “Fatty”. I prefer “awesome” better but you know, whatever. Anywho, I’d like to thank Connie for letting me participate this year and I’ll straight up say this is the first time I’ve ever done a secret santa! I’m pretty nervous. So onto my introduction, as I said earilier, this is my first year of doing this! There are a couple of things that I believe you should know secret santa. I love puns and I love puyo puyo. 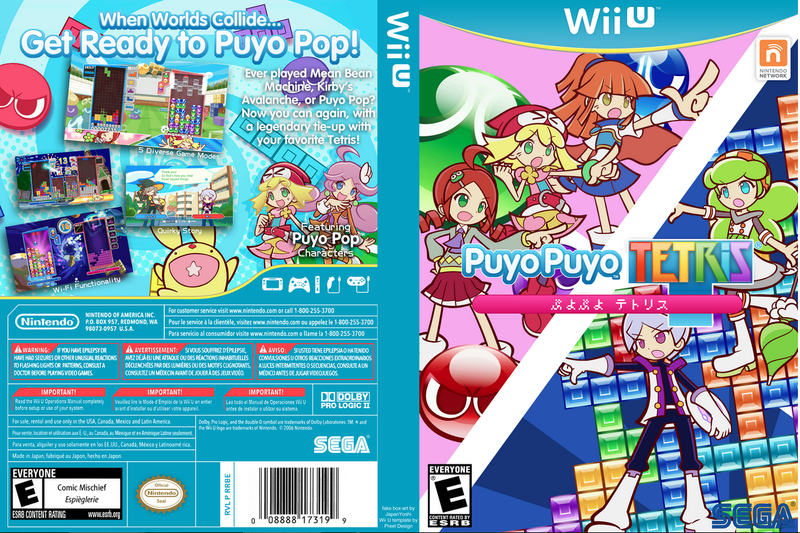 If you don’t know what puyo puyo is, it’s a puzzle game like tetris but with blobs. And puns, well I love puns! Anywho, to the goods! Whoever is my secret santa I would just like to say thank you for putting up with the gifts I ask for. Look at how adorbs they are AND they’re puyo puyo characters! -Amiibos! Pikachu or Peach please! Anywho, thank you very much. I can’t wait to find out who my secret santa is and to properly thank them for an already awesome Christmas. Ehh...heh....heh... I uh. Well. I have the 3ds version and ps3 version. I'm going to get the ps4 version soon. So all together 3...? Missing the vita and wii u version.